Buying property deeds, also known as tax lien certificates or tax deed sales, is a profitable way to diversify your investment portfolio. Buying property deeds for back taxes attracts investors because either you will receive a return on your investment if the homeowner pays the back taxes plus the penalty, or you can own the property outright. Research is one of the most important factors in buying property deeds. Determine in which state and county you would like to purchase the property deed. Each state has different penalties and criteria for purchasing tax liens. For example, a Georgia resident will pay a 20 percent penalty to repay a tax lien; in California, the penalty is 18 percent. A penalty is the percentage the homeowner must pay in addition to the back taxes. Seek out states that have higher penalties to gain a higher return on your investment. The National Association of Counties website offers a breakdown of counties to further your search. Find out the best search method for tax liens. There are online sites that provide updated information on tax liens. These third-party tax deed lists may charge a fee to access their information. You can also visit the tax assessor’s department in the city you are interested in, or you can check its website to determine if you can participate in auctions or purchases online. You can also check local newspaper listings under public filings. Check the deposits, costs, dates and times for each auction. Tax liens are auctioned off "on the courtyard steps." If you reside in the state where you want to purchase the property deeds, you can physically go to a location to bid. If you win the auction, be prepared to pay at that time. Secured payments such as cash, cashier's check or money order are typically required. 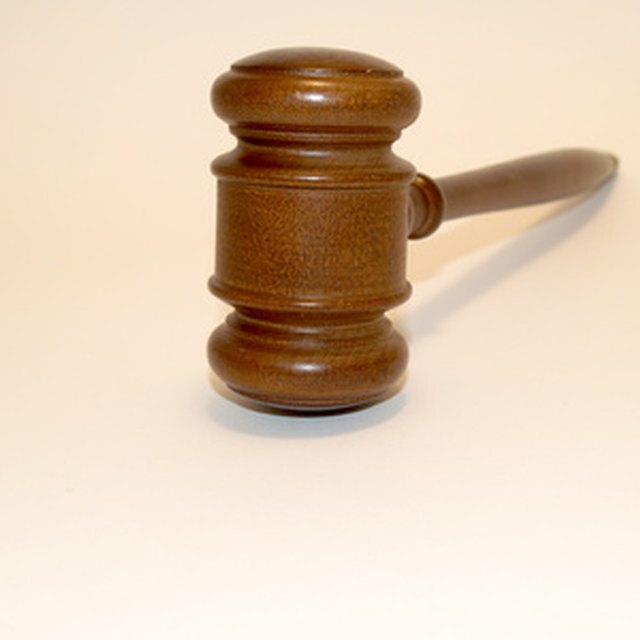 Hire a local attorney in the property's area to bid on your behalf if you cannot be physically present for the auction. This will require providing a deposit to enter the auction; your attorney will bid to the amount that you specify. You will then pay the county the remainder within an allotted time frame. Understand the legal means to contact the current property owner. The majority of the time the property owner will pay the penalty and back taxes, especially if he knows the property is worth more than the back taxes. Ensure you keep an up-to-date mailing address so once the penalty and back taxes are paid, the funds go to the right place. Have a certain amount of savings in your account at all times. You will often need to place a deposit to bid on certain properties. Having cash reserves allows you to enter multiple auctions to maximize your opportunities of purchasing the property deed.